How can I change my country, language, and currency settings? 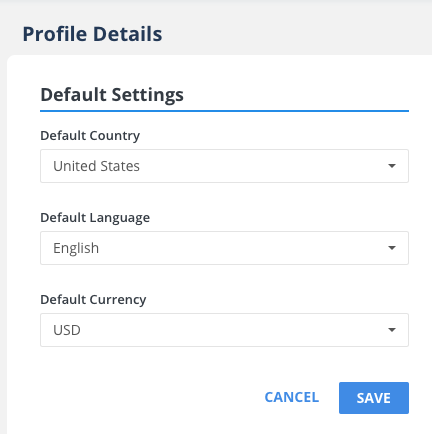 Because the largest portion of our users are based in the U.S., default settings are for google.com, English, and U.S. dollars. Your country and language settings will be used for all new projects you create. However, once you assign a country/language to a project, that project will save those country/language settings until you change them within the project. Your default currency will be applied to all projects in your account. Once you change it in your settings, the change will be automatically applied to all keywords in your account. 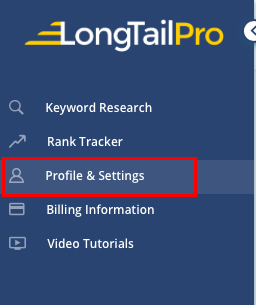 You can change your default settings from the Profile and Settings page.